Introducing Dr Maurice Pitesky, the Chicken Whisperer. backyard chicken eggs tested for FREE! Please spread the word to anyone and everyone in California! There is concern about backyard chickens ingesting contaminants from the ground and transmitting these to their eggs. 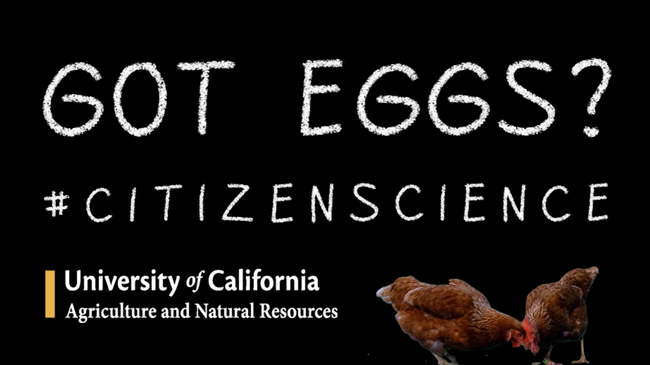 UC Davis School of Veterinary Medicine is interested in testing eggs from backyard flocks for various contaminants from recent fires and the environment. Results will be shared individually with each owner, and cumulative results will be summarized and made available to the general public. 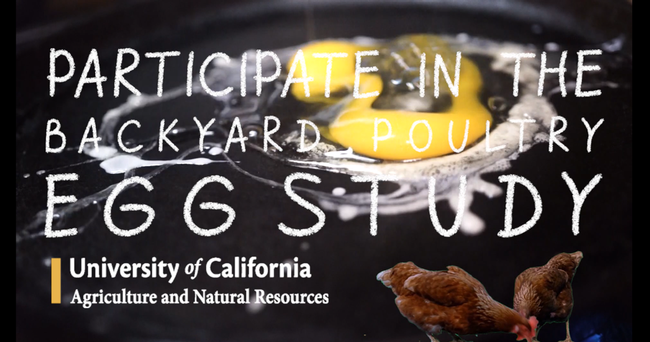 For more information on the project, as well as more detailed instructions and examples of how to pack and ship 2-4 eggs, check the UCCE Poultry website. Include this document inside the box. Shipping address is on the form or if you live in Sonoma County, we will ship for you!